A quality wedding DJ with the perfect playlist and lighting effects to provide first class entertainment on your special day! Celebrate your birthday, anniversary, wedding or event with Norfolk Wedding DJ! 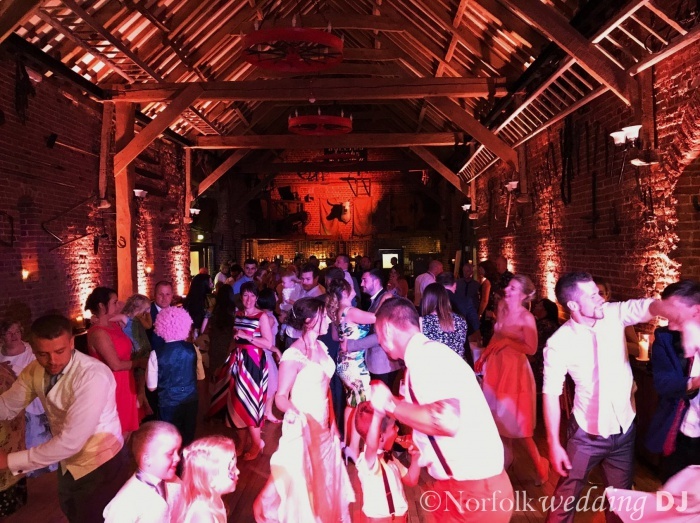 Here at Norfolk Wedding DJ, we recognise that every event or celebration is unique. We tailor quality playlists for you and your guests, and use effective lighting to dress your venue, utilising the latest lighting equipment and sound systems to create the perfect atmosphere. 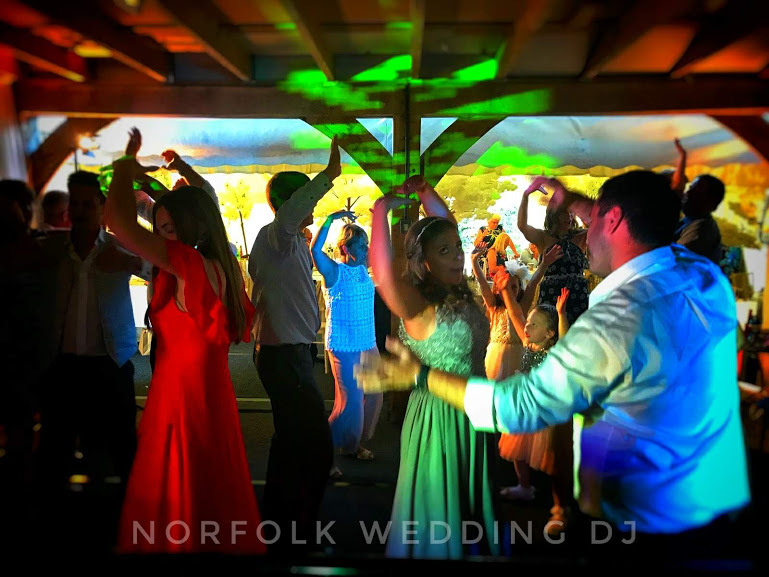 Norfolk Wedding DJ always provides a transparent, punctual and friendly service that you can rely upon to provide quality musical entertainment at your wedding, party or event. Based in Dereham, Norfolk Wedding DJ covers parties, weddings and events for East Anglia and beyond. Please get in touch for more information or fill in our online form to receive a no-obligation quote. Meet the Norfolk Wedding DJ Team! Hello, my name is Neil Hardingham, and I am the owner of Norfolk Wedding DJ, a DJ hire and event entertainment disco business in Norfolk. I have been a DJ for over 20 years, with extensive experience in venues across East Anglia, ranging from clubs and pubs to hotels and marquees. As you might expect, I have a huge interest in all types of music. Norfolk Wedding DJ boasts a large varied music library that covers the last 50 years of pop, soul, funk, motown, rock, indie, house, RnB, dance music & more. There is something for everyone, allowing me to fill your party with great tunes from start to finish! DJ-ing is a huge passion of mine. During a gig, I like to keep the music flowing by mixing tunes together. I ensure that the hosts and guests of every event enjoy the music by taking on-the-night requests and playlist suggestions. It is my absolute priority that people enjoy a party or event, whether that is by getting them up dancing and singing along to some classic tunes, or simply by providing some enjoyable background music. I take a lot of pride in what I do. I always aim to do every function justice by providing the best possible service and entertainment for you and your guests. Nothing makes me happier than seeing a happy host and their guests enjoying a great occasion – I love being a part of so many people’s happy memories! Please get in touch for more information or fill in our online form to receive a no-obligation quote. Disco packages to suit all occasions, venues and budgets.